Having an infant can be overwhelming. In the early days it can seem baffling to find things to do with this tiny little person who is completely dependent upon you. 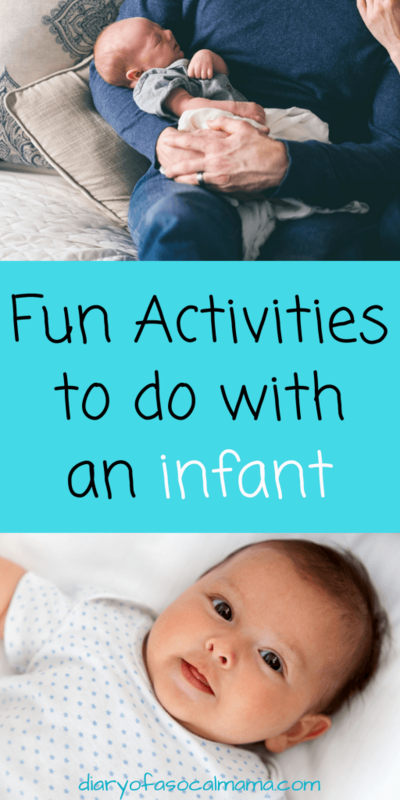 These fun things to do with newborns will help give your baby the stimulation they need as well as giving you some great bonding time! Family showers can be a lifesaver in the early days when you wonder if you’ll ever get to shower again. Mom, Dad, & baby can all shower together so you’ll get some much needed time with your spouse and a nice shower. A bonus is a lot of babies are soothed by the sound of the water as well. (I used to play running water videos on YouTube for hours to calm my baby down). We would take turns standing out of the water stream holding our daughter while the other showered and then switch. It was sad when she got too big and wiggly to do this anymore. You can also take a bath with your baby if you’re into baths. It’s also a great way to introduce your baby to the bath shower in a way that will help them to feel safe and secure. Maybe this won’t make the list when I’m a second-time mom but I’ve really enjoyed it the first time around. Get something you can use each month so that you can see how big your baby is getting. A lot of people buy blankets that allow you to circle the month. You can grab cute ones on Amazon or if you like to shop small Etsy also has some beautiful baby photo blankets. I used a giant teddy bear that I prop her near each month. It’s fun to do a little mini photo shoot…plus it gives you a chance to use all the fancy cute clothes that just aren’t practical for everyday wear! If you want to have some extra fun check out the baby booth box. 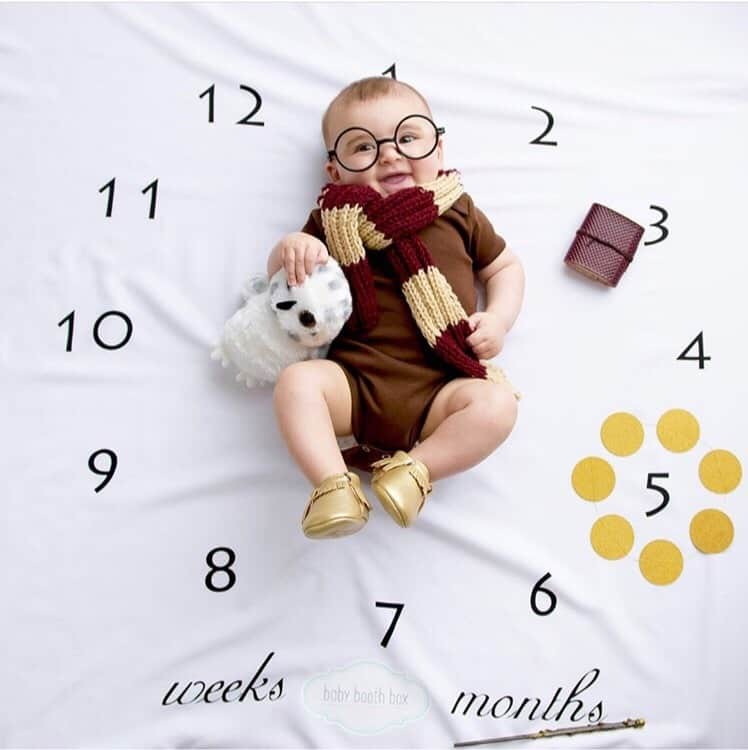 They will send you one of the cute blankets with the months on it and each month will send you a box of fun props to use in your photos! Getting outside is so important. Staying cooped up inside can make both you and baby stir crazy. Even if it’s just walking around your front or backyard, get outside! Show them the plants, leaves, flowers, rocks, while all of this seems mundane to you it’s all new to them. In the early days, we’d just walk down the little pathway at our apartment to get some sunshine. Now we take neighborhood adventures in the stroller. She loves just looking around. Last week I introduced her to honeysuckles, one of my favorite flowers to play with as a kid! Taking a nature walk can also help to soothe a baby if they’re in a crying fit. The change in environment and temperature are sometimes enough to snap them out of it. Just make sure you keep the trip short or give your babies sensitive skin some cover from the sun. Early on I started singing to my baby. For us, it was “Head, shoulders, knees, and toes”. It was just something fun we could do to pass a little time and it felt educational. Even as a little baby she began to recognize the movements of the song and would smile in anticipation of me running my hands over her head for the head part. We still sing it now and will for years to come. I didn’t let anyone else sing this with her as it’s our special bonding song. You can use a silly song or a sweet lullaby if you’re musically gifted. We also had a few fun made up songs we would sing as we did different things in our routine. They just help to make them a little more fun. If you can’t carry a tune you can find plenty of great songs on iTunes or YouTube to play for your little one. You can find some great songs that babies love on my list of 21 songs to make your baby stop crying. Babywearing can be a lifesaver. 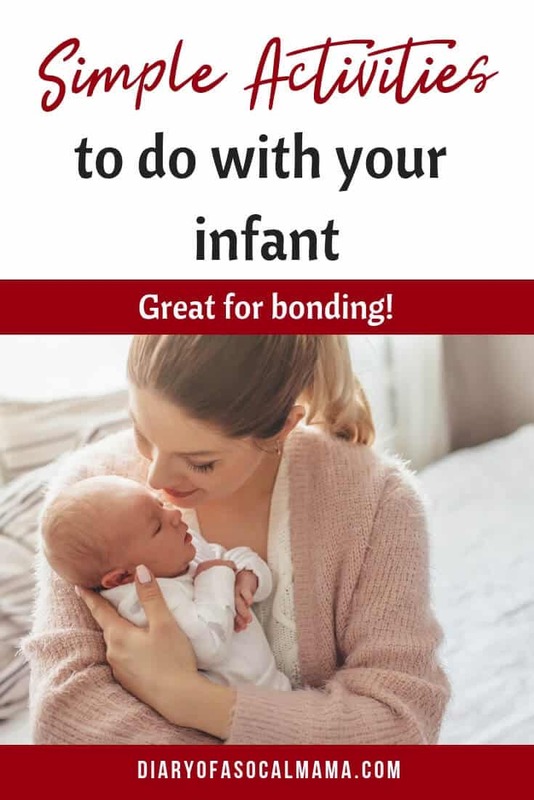 You can keep baby close while having two hands to move around the house. It’s also great for at the store when they are too little to sit in the basket…or if you just want to avoid those germy baskets. Bonus: Baby will often go to sleep in the carrier so you get some hands free time and baby gets a nap! Babywearing can also be great at parties or events as people are less likely to try to touch if they have to invade your personal space. No, my daughter is sadly not some child prodigy reading at 7 months old. However, she does enjoy when we read books. She likes to look at the pages and stare closely at the words, even though they have no meaning yet. They say it’s important for babies to hear lots of words so read away. Enjoy the fact that you get to choose the book and read a large variety. Before you know it your child will be demanding you read the same one over and over again. For the youngest babies, high contrast books with black and white photos are easiest for them to see. Why? 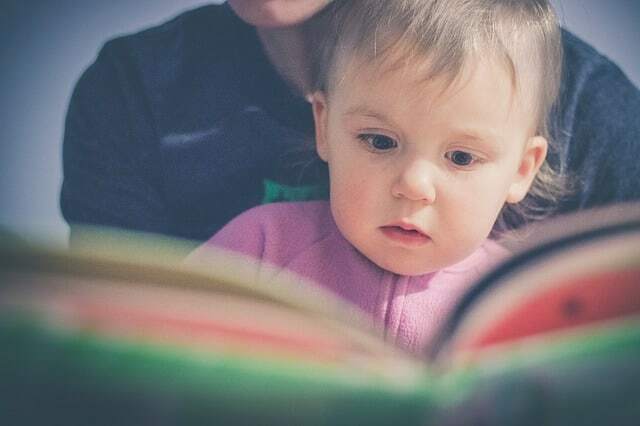 Check out this post all about baby eyesight and why black and white books are so great for babies! You can’t spoil an infant! If you have the time, hold them for naps sometimes! Enjoy the sweet snuggles because soon they won’t want to snuggle with you anymore. Soon when you want to cuddle they’ll push you away. Infancy is short lived and you can’t get the time back so make every moment count! Enjoy making some great memories with your little one. Babies are hard work but it’s a short season in life and they’ll be sassy toddlers in the blink of an eye. Follow me on Instagram @diaryofasocalmama to see lots of sweet baby moments. So glad you liked it. Thank you so much for the nomination!